Deuteronomy 28:15-68 and Galatians 3:13 should be a mainstay in the Christian life. 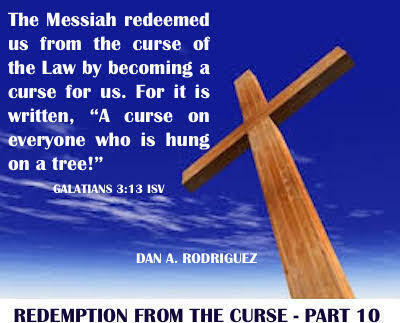 The first because it reveals what was included in the curse, and the second because it tells us Christ redeemed us from the curse when He became a curse for us on the cross. This revelation from the Word will set you up for victory in so many ways! We can't emphasize these truths too much. They have gotten me out of many bad situations throughout my Christian life. In this podcast, we look at highlights of this series, and how to answer the world's intrusion with the Word. We also look at the definition of the word "pestilence" from Deuteronomy 28. We are redeemed from sickness and disease, depression and all mental health diseases, terrorism, fear and dread, famine, and so on. We are also redeemed from death in all its forms. Did you know that under the curse was all kinds of business failure? Christ has redeemed us from the curse! Please feel free to spread these free messages and articles all over everywhere! People will be helped tremendously through these messages, IF they will believe it and receive it! Connect some people with our website.